Founded in 1875 by 17 local business owners, we have proudly stood as a trusted institution in the communities we serve. 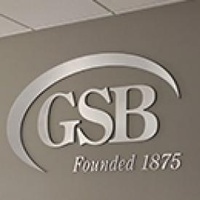 Starting with a $17,000 investment and one branch on the picturesque Guilford Town Green, GSB has grown to a six-office, $700 million bank. Time has passed, but our commitment to the community remains equally strong. The first item on our strategic plan is to always remain a mutual savings bank. We have no stockholders. That means it's in our best interest that you succeed. You thrive, we thrive. This customer focus sets us apart from other financial institutions. Find out what sets us apart from other banks by exploring our recent annual reports. They include information about our long-term goals, our commitment to local businesses and non-profits, and our dedication to your needs and those of the community.